Time For A Doggie Dental? Know The Drill! We've all heard the statistics, around 70% of pets over the age of three already have some form of dental disease. Dental problems can vary from a buildup of plaque and some redness of the gums all the way through to severe gum disease resulting in extensive inflammation and infection. This is very painful and if not caught until later stages will often require expensive procedures and treatments to fix. It’s amazing what our pets can be hiding in there so be sure to inspect your pet’s mouth regularly; you may be surprised at what you find! So your pet has bad breath, red gums or some yellow plaque? Time for a dental. 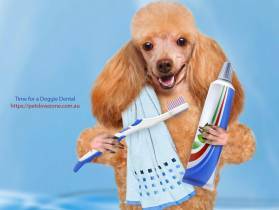 August is dental month and most vet clinics will have some kind of promotion or discount offer on dentals and/or dental products, so it's a great time to get on top of that bad doggy breath. Ask for a free dental check and a discount on any necessary procedures. This article provides an overview of the process of bringing a dog or cat into Australia. It is not meant as legal advice. For full guidelines, visit the Australian Department of Agriculture website. Bringing a pet into Australia can be difficult, but it is not impossible. 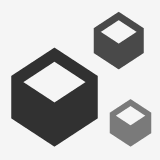 There are often services that will handle the process from start to finish, but generally knowing what you have to do and why it must be done can help to minimise frustration. Australia has strict import laws, designed to keep the locals safe from foreign diseases. These laws regulate what vaccinations a pet must have and the amount of quarantine they must undergo before being allowed into Australia. The laws change depending on the country you are bringing your dog or cat in from. Airlines may have separate regulations you must also follow to keep your pet comfortable on the flight. 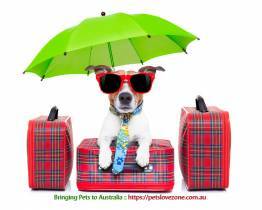 Following the guidelines will keep you and your pet safe and welcome Down Under. Perhaps your beloved terrier dreams of running with the wolves through snowy woods. In reality, most modern pets are ill-prepared for winter. 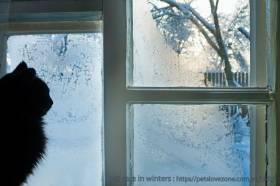 Animals can't plan ahead for cold weather, so you've got to do the planning for them.